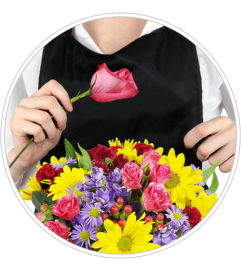 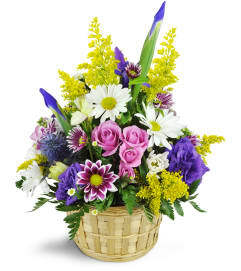 When you want to send flowers to the special lady in your life, Think Pink! 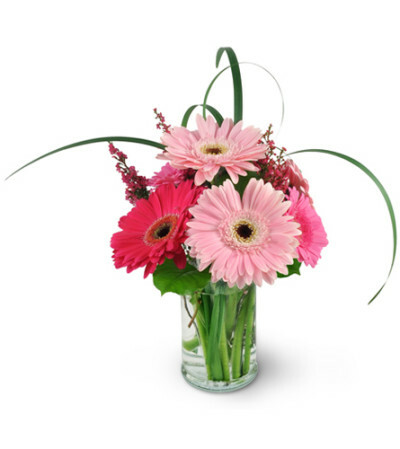 Our Think Pink bouquet will charm its way into her heart and features miniature and full-sized pink gerbera daisies, with wisps of heather and monkey grass in a gorgeous display. 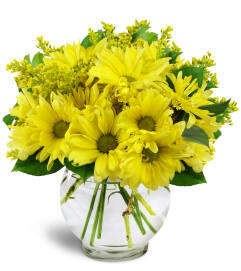 Gerbera daisies in hues of pink are expertly arranged with heather, monkey grass, and salal in a clear glass vase.